He came, he ate, and he conquered... and he has the t-shirt to prove it! 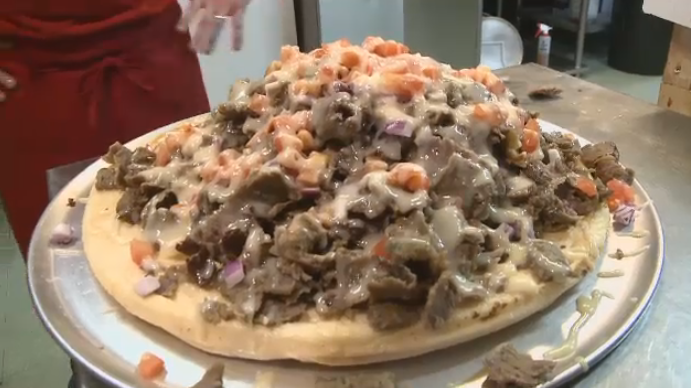 When Alexandra's Pizza in Sydney introduced their six-pound donair challenge earlier this year, many thought it was impossible to complete. That is, until Joel Hansen showed up. 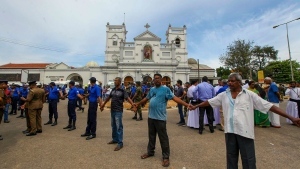 “The first time I heard about this challenge was back in February when it hit the news for the first time, and ever since then, I had to do it,” say Hansen. The 22-year-old travelled all the way from Guelph, Ontario to take on the monster donair on Saturday. In order to complete the challenge, Hansen had to down five pounds of donair meat, piled high atop a one-pound pita so large it has to be created from scratch. It’s topped with the typical tomatoes and onions and plenty of sweet, garlicky donair sauce. Not only did Hansen finish it, he polished if off in just over 28 minutes, less than half the allotted time of one hour. “There’s a little bit of a science behind it. You just have to be able to eat a large amount of food in a short amount of time. Somehow, I did it. Stuff it in my big toe or something, you know?” jokes Hansen. This wasn’t Hansen’s first big eating challenge. He has competed in about a dozen others, including an ice cream sundae in Buffalo, New York that weighed about as much as a small dog. “Multiple burgers, fries, hot wings, macaroni and cheese, beans. I’ve done a number of burger challenges,” says Hansen. The strangest part of the story may be Hansen’s occupation. When he isn’t gorging himself in challenges like these, he works as a fitness model. He says a strict diet and workout schedule makes the balancing act possible. “It’s definitely a bit of work. It involves a lot of dieting when I’m not overindulging. Just dieting and overindulgence and finding the balance between the two,” explains Hansen. Hansen may be the first to complete the donair challenge, but some serious competition is lining up to join him. In just a few weeks, world-renowned professional eating champion Randy Santel is coming to Alexandra’s to try the donair challenge himself. While Santel is an 18-year veteran with more than 600 easting challenges under his belt, Hansen has only been eating competitively for a few months. But some locals think Hansen’s record might last a long time. “I don’t think he’s going to beat his time, I don’t!” says Justin Ayre. Of course Hansen may have another inherent advantage over other visiting challengers. The eating champ is an ex-pat Maritimer, who spent about eight years living in Halifax and P.E.I. He was so confident that before even travelling halfway across the country to take on the challenge, he guaranteed he would finish it, showing that he has the attitude to match his appetite. “In the words of Randy Santel, ‘you’ve got to win before you begin’,” said Hansen, taking some inspiration from the words of his soon-to-be challenger. Aside from bragging rights, finishing the daunting dish comes with a prize. 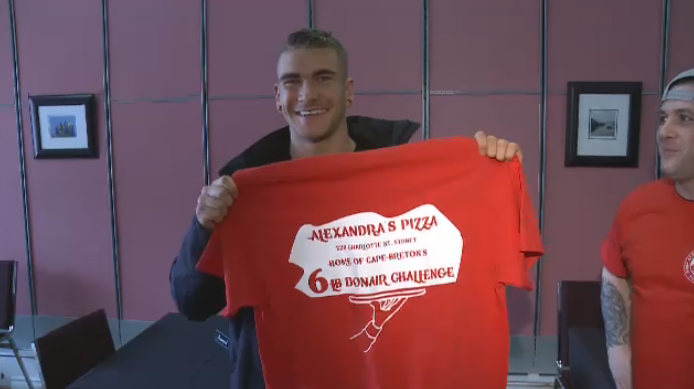 Alexandra’s Pizza has offered a $500 donation to the winner’s local charity of choice, a photo on the restaurant’s wall-of-fame, and free pizza or donairs for a year. 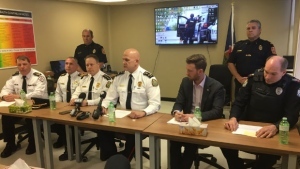 With files from CTV Atlantic's Ryan MacDonald. 'Some people, they've trained for this:' Are you up for the donair challenge? 22-year-old Joel Hansen travelled all the way from Guelph, Ontario to take on the monster donair. In order to complete the challenge, Hansen had to down five pounds of donair meat, piled high atop a one-pound pita so large it has to be created from scratch.